Elasticsearch image is secure, up-to-date, and pre-configured to work out of the box. Elasticsearch is a popular open source, distributed, enterprise-quality search and analytics engine. Accessible through a REST API, it sifts through large amounts of data extremely quickly. Based on Apache Lucene, Elasticsearch is an extremely fast, open source search engine. It can conduct full-text searches across massive amounts of unstructured data in milliseconds. In addition to drastically reducing the time necessary to sift vast quantities of data, it is also very easy to get started with. New users can often begin to gain meaningful insights into their data within a few minutes of launching the server. 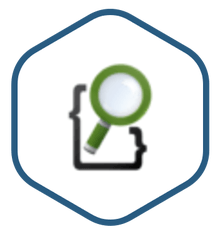 Queries in Elasticsearch are done in a simple Domain Specific Language (DSL), using JSON syntax through its RESTful API. Clients can also be installed for almost any programming language, making it easy to automate searches and integrate with other applications. Elasticsearch utilizes APIs for monitoring and management, enabling quick detection of failures and protection of data. Powerful and scalable open source search and analytics engine that cuts full-text search times for huge datasets from seconds to milliseconds. Short startup time and learning curve enables new users to begin conducting powerful search queries, often within minutes of launching the server. Accessible through a RESTful API using JSON syntax, or add a client for almost any other programming language. Includes APIs for monitoring data and managing the server, enabling early detection of failures and protection of data.